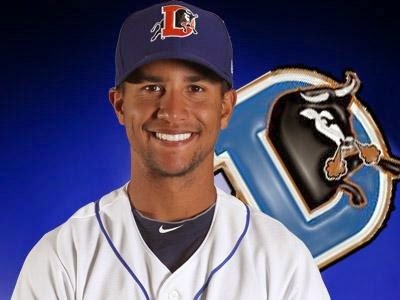 As hinted in today’s Herald-Sun, several sources are reporting that Durham Bulls infielder Cole Figueroa is on his way to California to put on a Rays uniform. Good for him. We really like Mr. Figueroa and hope that he gets some time on the field while he’s there. The callup is the result of super-utility man Ben Zobrist hurting his thumb sliding into base last night. See semi-gruesome video here. And it isn’t entirely clear that Figueroa will actually be going on the Rays roster. But they don’t have to make an official move until the last moment. Likely that he’s being called up as much for his defensive prowess as his great year at bat. We should note that he is carrying, by far, the best wOBA of any infielder on the Bulls (.391). Other stats here.